About Tommaso Tommaso Dorigo is an experimental particle physicist, who works for the INFN at the University of Padova, and collaborates with the CMS experiment at the CERN LHC. He coordinates the European network AMVA4NewPhysics as well as research in accelerator-based physics for INFN-Padova, and is an editor of the journal Reviews in Physics. In 2016 he published the book "Anomaly! 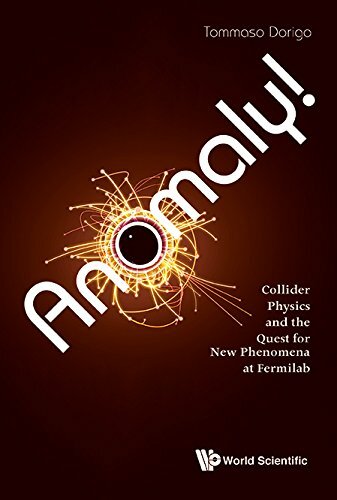 Collider physics and the quest for new phenomena at Fermilab". Tommaso's Articles This is a list of the latest articles and blog entries that Tommaso has written. Anomaly Detection: Unsupervised Learning For New Physics SearchesSix Questions On AMVA4NewPhysicsThe Plot Of The Week - Multiple Pentaquark CandidatesAccelerating The Search For Dark Matter With Machine LearningThe Plot Of The Week - ATLAS Dilepton Resonance Search Click here to read all of Tommaso's articles. Click here to see all of Tommaso's photos. Affiliates Tommaso hasn't added any affiliates.